Marc was born in San Diego, California (USA), to a Canadian (mother) and a New Yorker (father). After graduating from Torrey Pines High School he enrolled in the College of Chemistry at UC Berkeley (USA), completing his BSc in Chemistry in Spring, 2003. Equally attracted by the chemistry and basketball programs, he decided to pursue his PhD at Duke University (USA) under the supervision of Prof. Steve Baldwin and received his degree in Spring, 2008. He then moved to Yale University to work as a postdoctoral researcher with Prof. Andrew Hamilton and subsequently moved with Andy in Summer, 2009, to the University of Oxford (UK). Marc joined the faculty at Northern Illinois University (USA) as an Assistant Professor of Chemistry in 2011. 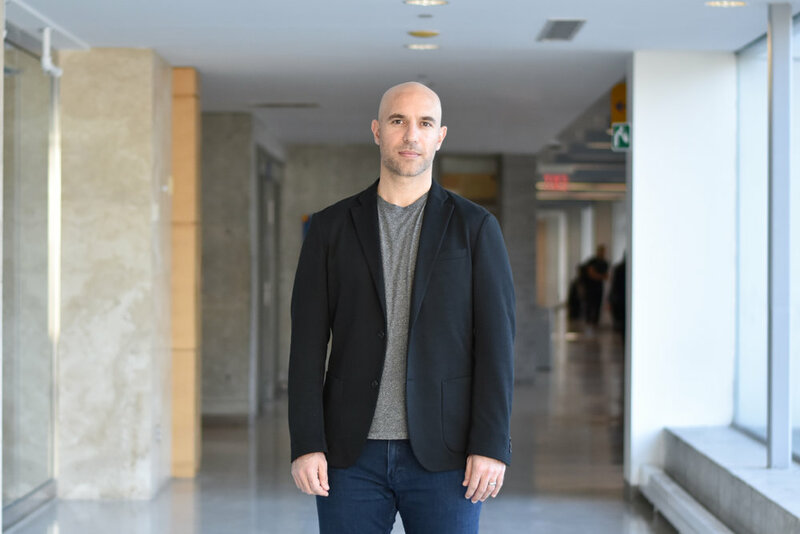 Since 2017 he has been an Assistant Professor of Chemistry at Ryerson University in Toronto, Ontario (Canada). It took time and luck for Marc to find his deep passion for chemistry. After three years of university spent mostly floundering despite great interest in the subject, he was fortunate enough to fall under the tutelage of Prof. Chris Beaudry of Oregon State University (USA), then a graduate student in the lab of Prof. Dirk Trauner at UC Berkeley (USA). This research experience put Marc on the path to becoming a successful chemist. Outside of chemistry, Marc enjoys the following things: basketball (playing and watching), cooking (and eating), hip hop, snowboarding, playing softball, beer/wine/whisk(e)y, hanging out with his wife, daughter, and dogs, and keeping in touch with friends and family near and far. While at Duke, he pitched for the university's club baseball team (including a complete game shutout victory against rival UNC) and led the Chemistry Department softball team in most important offensive statistical categories. While in Oxford, he started at power forward for the university twos and was a key member on the college league champion Merton/Mansfield team of 2009-2010. He currently plays third base and hits cleanup for his championship local softball team. He has been fortunate to have had the opportunity to visit many countries in his life (including Cyprus, Greece, India, Jordan, Israel, Scotland, South Korea, and Sweden), and hopes to see many more.